A 17-year old girl found dead in a park in Montecito Heights was identified Friday by friends as family as Briana Gallegos of Pico Rivera. The coroner’s office previously identified a second victim as 19-year-old Gabriela Calzada. The women’s deaths have been classified as homicides, Officer Aareon Jefferson of the Los Angeles Police Departments Media Relations Section said. 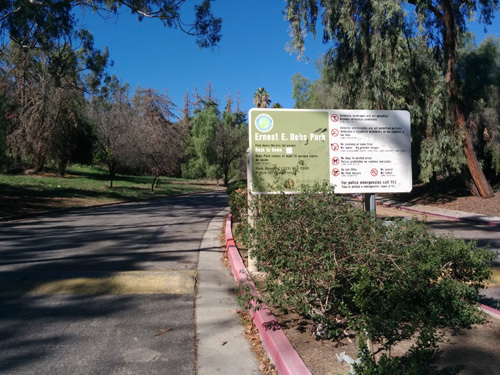 The bodies were found about 2:20 p.m. Wednesday near Mercury and Boundary avenues along a walking path through Ernest E. Debs Regional Park, according to the LAPD. 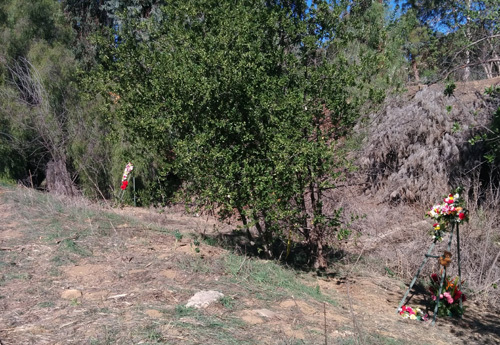 A woman walking her dog came upon the bodies, which were on the side of a hill, and called police, LAPD Officer Matthew Ludwig said Wednesday. According to police, the women were found fully clothed about 300 yards from the street, and did not appear to have been sexually assaulted. He declined to comment on whether police found obvious signs of trauma on the bodies. The coroner’s office has not officially identified Gallegos as one of the victims but friends have identified the teen and written on her Facebook page. According to the page, Gallegos was a student at Sonia Sotomayor Learning Academies in Glassel Park. One of the young women was reported missing at about 9 p.m. Wednesday, nearly seven hours after their bodies were found. The park is popular with hikers and walkers. It’s also home to a National Audubon Center. “I’m really scared knowing a killer may be out there,” said Helen, who asked not to use her last name. “I never walk in the park alone anymore, not since those women were attacked last year, ” she told EGP. She was referring to the assault on three women between January and July 2014. At the time, police said the suspect was targeting women walking alone in the park. Signs with a composite drawing of the suspect warning women to to not walk alone and to keep an eye out for the suspect were posted around the park. Autopsies to determine the victims’ causes of death were pending, according to the coroner’s office. Article includes information from City News Service. Updated Oct. 30 2:45 p.m.